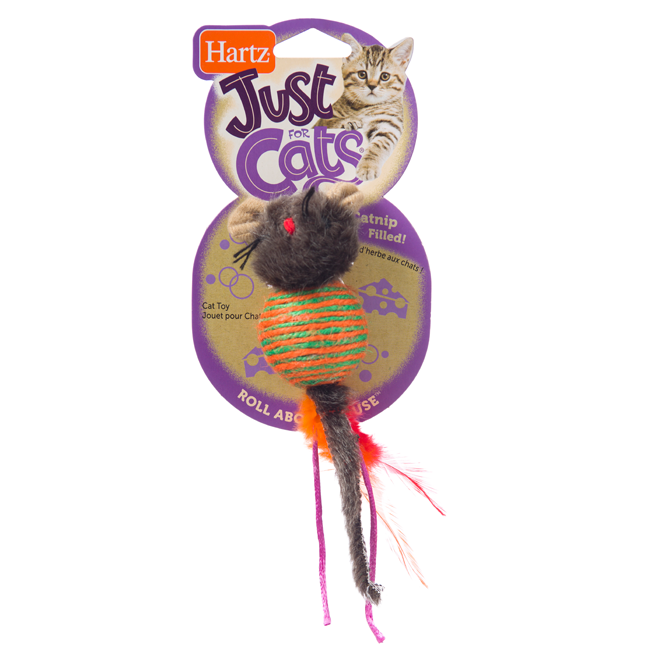 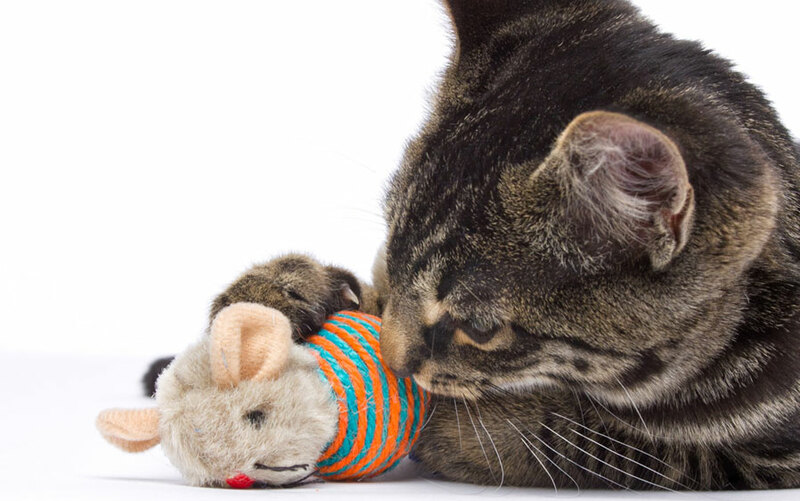 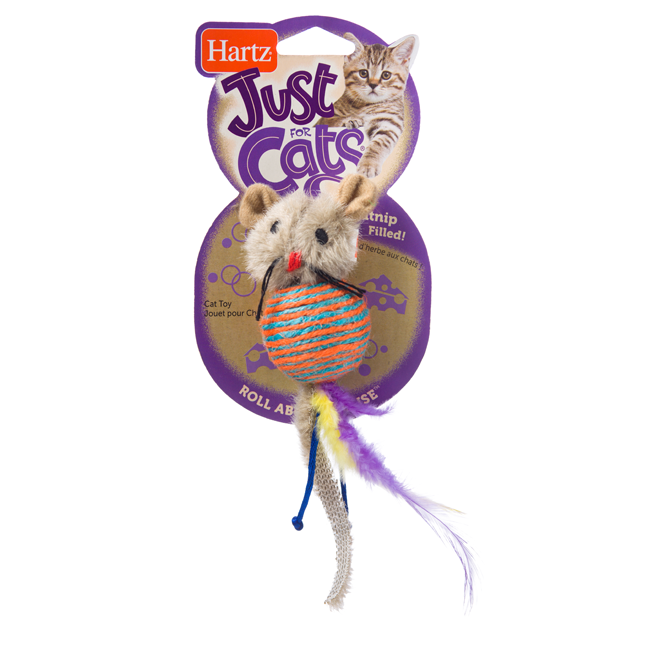 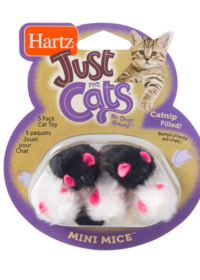 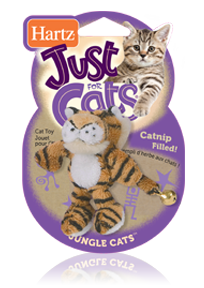 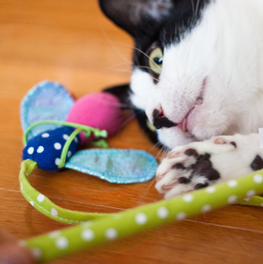 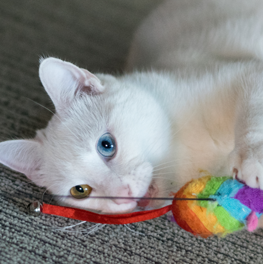 Your purrfect prowler will have a ball with the Hartz Just for Cats Roll About Mouse. 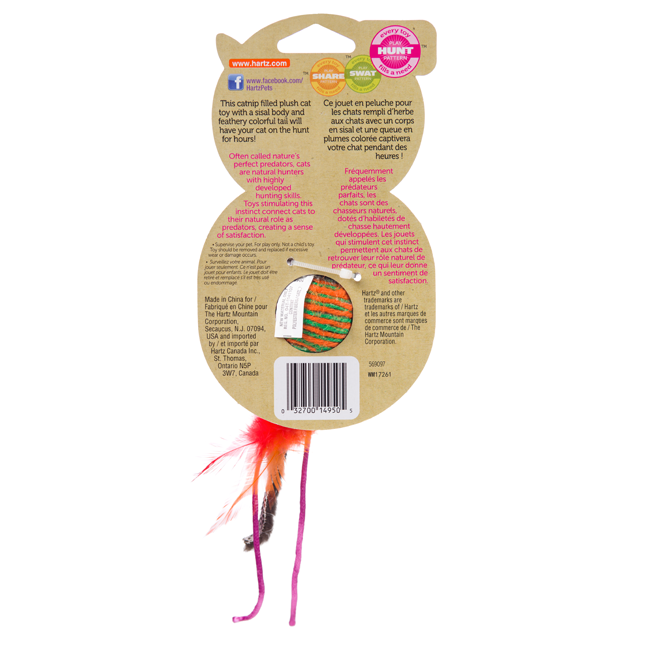 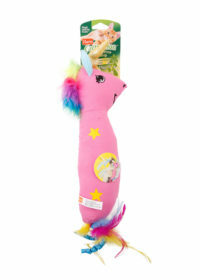 This rampant rodent is a plush cat toy with a sisal body and feathery colorful tail. 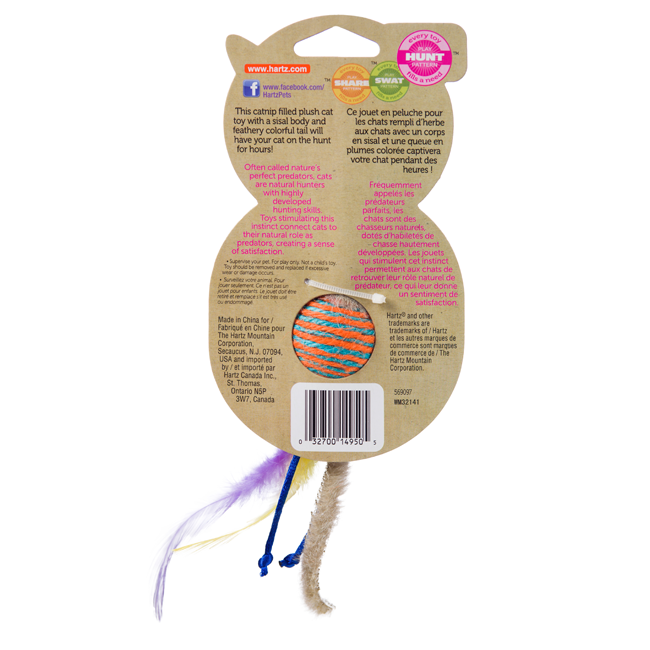 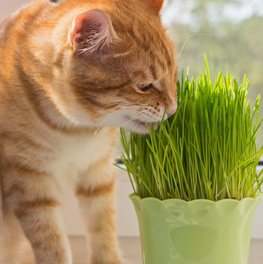 Cats will love watching this critter roll when swatted and chasing after the flighty feathers.